Challah baking workshops with Hadasa are a perennial favorite at which BU students get to learn about the Mitzvah of Challah and mix, knead, shape and bake their own to take home! Doing the Challah Twist is always a fun activity! A wonderful night of female bonding was enjoyed by all as Jewish women at BU showed off their incredible talents at the annual Cabaret. Acts included vocal and instrumental performances as well as dance, comedy and poetry. Original art and photography was also on display. As sell out crowd filled the Chabad Café to enjoy music by Chabad’s awesome band: Facing East, and each other’s company. Students enjoyed delicious pastries with coffee and a chocolate fondue with marshmallows, pretzels and apples. It was such a great night no one wanted to leave. Those guys are mad good! Community members and BU students came together in number for a Memorial Ceremony to mourn the loss and honor the memory of Rabbi Gabi and Rebbetzin Rivkah Holtzberg, directors of the Chabad Center in Mumbai who were killed in a terrorist attack. The ceremony held at Chabad included remarks, memories, candle lighting, charity, prayers and song. 15 BU students who had never celebrated their Bar / Bat Mitzvah were feted on Sunday,December 7 in a celebration that included moving remarks by the Bnai Mitzvah, fabulous Hollywood themed décor, great food, fantastic music and spirited dancing. Many parents-and even some grandparents-who travelled from near and far to participate in this event joined the hundreds of students who had come to support their friends and join in the celebration.Mazel Tov! 1 o’clock, 2 o’clock , 3 o’clock Rock! Once again, Chabad proved that all it takes is good friends coming together with a bit food to have the best party ever. 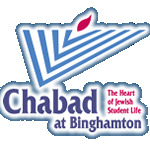 The traditional Midnight Madness Breakfast during Finals week pulled a record crowd- over 250 students- who enjoyed each other’s company, plus the bagels and shmears, pancakes and omelets , plus the great sound of Facing East plus the prize drawings that topped the Chabad Charity Drive. Chabad's Super Bowl Party on Feb. 1 featured a huge screen, the Super Bowl Special from Dougie's in Brooklyn, and loads of energy from Steelers fans, Cardinals fans, and those who didn't care who won! -We even got a minyan for Maariv and a Dvar Torah in at half time! A great time was enjoyed by all the students gathered at the Chabad House on the West Side to enjoy an evening of Chocolate fondue, cakes, and desserts highlighted by a discussion on love & relationships; the kaballah of soul mates. A lively Q & A session followed the presentation given by Rabbi Dan Lewin. The third annual ski trip to beautiful Greek Peak was a resounding success with people having a ball skiing, tubing and snow boarding. After lunch many students put on Tefillin (one student for his first time-Mazel Tov! ), and a Minyan for Mincha was formed. Nothing like having a good time with friends. Tu B'shvat festivities where well attended and offered delectable food for body and thought. Participants enjoyed a wide variety of fruits and nuts, grape juice and an outrageously fun chocolate fondue while learning ancient mystical teachings concerning this Jewish holiday and the various fruits eaten on this day. Participants also enjoyed Plantings and Edible Centerpieces; everyone had a blast making their own centerpiece and learning the basics of planting. What’s more fun than eating good food? Cooking it from scratch with a gourmet cook like Yael Lewin, learning new kitchen techniques, taking in some laws about the kosher diet and tasting the fruit of your labor. Now that’s what you call delicious! Participants (over 30) each made their own dough from scratch and learned how to knead and shape it to perfection. This time students got to add their own topping, some added chocolate chip, while others did cinnamon & sugar, etc'. Everyone had a great time! The Israel based group, Simply Tsfat, held a concert in Binghamton that brought the audience to their feet and dancing around the room in joy. Their incredible talent, uplifting melodies and poignant stories made for an evening that was simply unforgettable. BU students & community members who attended the Jewish Crafts Festival at Chabad enjoyed an afternoon that was edifying, entertaining & just plain fun. Fascinating presentations on the art of writing a Torah Scroll, Mezuzot & Tefillin as well as the symbolism of the Havdallah Ceremony and the history of Tzitzit and Tallit weaving were joined with workshops where participants had the opportunity to make their own Havdallah candle, sculpt a Mezuzah cover with local artist Bonnie Rozen, weave their own Tzitzit & crochet a Yarmulkah. It was a unique event which twinned a treasure trove of knowledge with practical application and artistry. How’s that for a festival? And for the BU (and community) women at the Chodesh Circle event to mark the month of Purim there was light and joy and much merriment as the inimitable Toni Grekin explained the power of massage and then gave women abbreviated massages while others enjoyed sampling the edible facial masks, hand softener and lip balm. Manicures were available and a Devar Torah about Queen Esther and delightful trifle rounded out the evening. Did you feel like Queen Esther that night? Students eager to get a taste of Purim spirit baked delicious Hamantashen and Rugelach. Everyone took home a bundle. It was a great warm up for Purim! The sisters of AEPHI paint posters promoting the Purim Carnival and enjoy some sisterly bonding at Chabad. Getting into the spirit, lots of Mishloach Manot packages were prepared as well. Purim night at BU started with a Megillah reading with student involvement, replete with the loudest "groggering" found on this side of the Susquehanna.